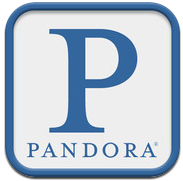 Pandora Radio app for iOS to make music listening a more user friendly experience on iPhone, iPod touch and iPad with the ability to auto-mute, better buffering and more. - Stuck with a flaky connection? We've improved playback buffering to keep your favorite music stutter-free. - Never miss another great song: if you mute your phone, we'll pause your music for you. - More links to more of what you love: all the URLs that work on Pandora.com now work just as well on your phone. - Bug fixes and improvements to keep your music playing as it should. This is their response to iTunes Radio? Hopefully they can remain competitive when release day comes. Competition is a good thing! Someone's getting a little worried with the competition. I don't think that's it at all. As you're using it, muting is in no way a "skip." Just hit the mute button on your keyboard or, if you need audio from other apps, turn the volume down in Pandora. Seems like there are many other equally convoluted ways of accomplishing your "bypass" without using mute. Well the app is either broke or doesn't work with iOS 7 because at the end of each song the app says that it paused my music because I muted my phone. After it did this on 5 songs, again after ever song ended, I switched back to iTunes Radio and my channel there. So far I may ditch Pandora all together and save that little bit of room on my phone. Apple probably just destroyed Pandora with iTunes Radio. It's just one less app I need on my phone and it's more integrated into the music I already own. And there's those of us who haven't opened apples music player since spotify. Enjoy the all inclusive Walmart approach to your device. Ill stick with the best experience ...a thumb tap away.